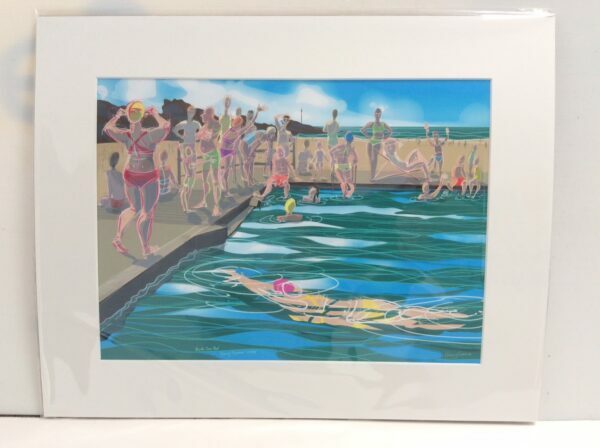 Print depicting Bude Sea Pool by the artist Nancy Farmer. 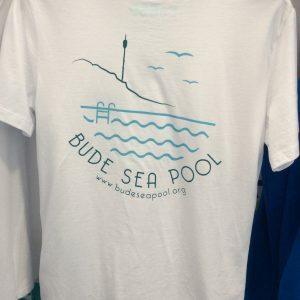 I swim a lot at Clevedon Marine Lake, so when the Friends of Bude Sea Pool asked me if I’d be interested in the Sea Pool as a subject for artwork I was already familiar with some of the problems, challenges and rewards involved in keeping these fantastic and historic structures going. 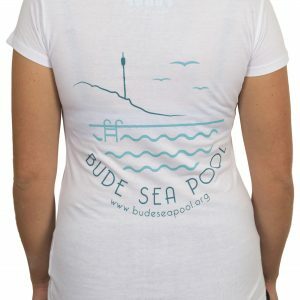 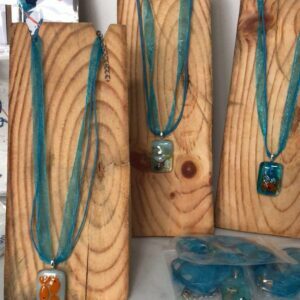 Both Bude and Clevedon are so well loved by the people that use them, and probably not everyone realizes how much work is put in by volunteers. 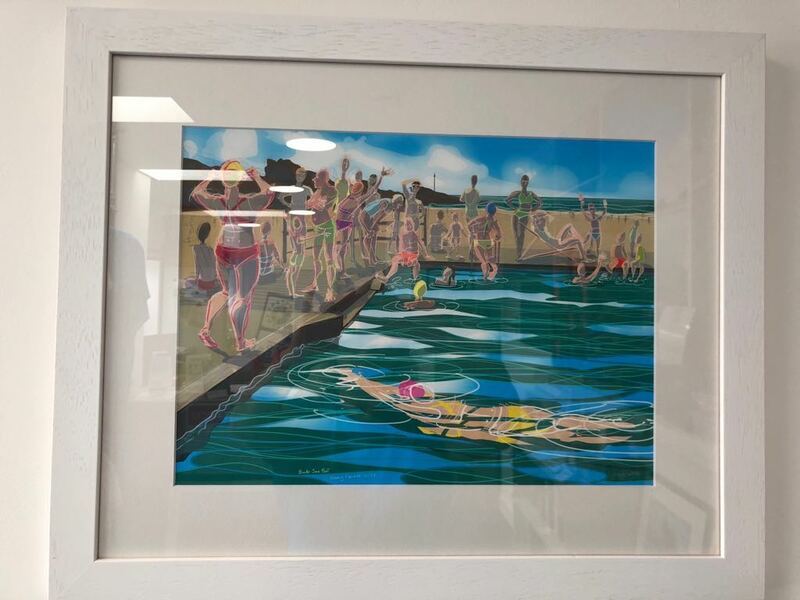 So took a little drive down to Bude, swam in the beautiful Sea Pool, met some lovely Friends of Bude and local swimmers, and created this drawing about the day.